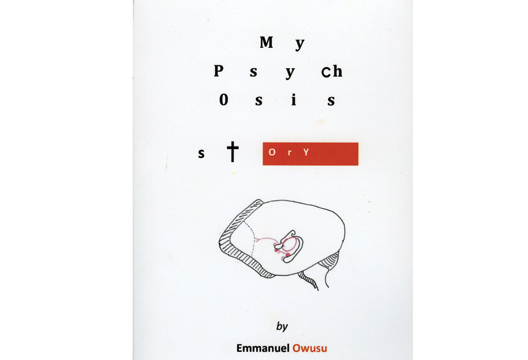 My Psychosis Story is a candid and endearing account of the author’s journey with psychosis. It describes the lead-up to his first episode and his experiences of mental health services, whilst complementing the narrative with his sister’s and best friend’s account of events. Interestingly, the author adds notes from his own electronic patient record to give an account of clinician perspectives at the time. The book further details his experiences through drawings, illustrations and poems. In line with current recovery stories, this is a rare and heart-rending account of how confusing and terrifying this experience must have been. Even through the ups of feeling manic and able to predict the future, and through the lows of feeling that ISIS had kidnapped him, the book retains a sense of hope; that anything can be overcome. Religion plays a crucial role for the author through his journey, providing him with a great source of strength and support. The first chapters define psychosis and its causes. Albeit incomplete, they illustrate the author’s effort to make sense of his experiences and to explain it to others in easily understandable terms. It ends with a range of self-conducted interviews of clinicians and friends and their opinions of mental health in general. The author himself outlines the importance of culturally sensitive services, peer support and finding his own happiness. He touches on issues surrounding stigma in mental health when he discusses feeling unable to disclose to his friends that he had been admitted. Especially considering that this is a self-published book, it is in incredible effort to detail and interpret his experiences, whilst hopefully creating a useful tool for anyone with lived experiences, their family and carers.